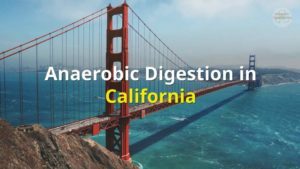 CalRecycle is in effect encouraging Anaerobic Digestion in California with the development of green technologies, of which the most important is anaerobic digestion. The state body is encouraging technologies like AD that divert organic waste from landfills, and comply with the states’ Global Warming Solutions Act. The act calls for the reduction of greenhouse gases and the use of low carbon fuels. Solid waste landfills are a significant source of greenhouse gases, due to decomposition of organic material in landfills into methane. Other legislation takes a statewide approach to Anaerobic Digestion in California and decreasing California’s reliance on landfills. They are implementing an ambitious goal of 75 percent recycling, composting or source reduction of solid waste by 2020. Anaerobic digestion is being considered for many projects, to divert organic materials, away from landfills, and simultaneously produce low carbon fuels. There are Greenhouse Gas (GHG) Reduction Grants and Loans available for Anaerobic Digestion in California. The Greenhouse Gas Reduction Fund (GGRF) was established in 2012. It receives Cap-and-Trade auction proceeds appropriated by the Legislature and Governor for qualifying projects. CalRecycle established the GHG Reduction Grant and Loan Program, to fund capital investments in anaerobic digesters, and other facilities. These will reduce GHG emissions by diverting organics from the landfill. In 2013 it was accepted that the use of composting and anaerobic digestion processes can play a significant role in achieving California’s goals for reducing GHG emissions and reducing the volume of material deposited in landfills. The GHG emission reductions from these activities would occur due to avoided landfill emissions, displacement of fossil fuel with biogas, reduction in synthetic fertilizer and herbicide usage, decreases in soil erosion, and less water usage. Southern California based CR&R Environmental Services has entered the construction phase of its anaerobic digestion facility in Perris, California. Southern California based CR&R Environmental Services has entered the construction phase of its anaerobic digestion facility in Perris, California. The project’s first phase will convert over 80,000 tons per year of municipal organic wastes into Renewable Natural Gas (RNG). The project is fully permitted for 3 additional phases that will convert over 320,000 tons of organic wastes into RNG and generate the energy equivalent of 4 million diesel gallons, making it the largest project of its kind in the U.S. at full build-out. CR&R has received grants from the California Energy Commission (CEC) and South Coast Air Quality Management District (SCAQMD) which enabled them to move forward with the project’s first phase. Hailed in 2013 as the largest anaerobic digestion system of its kind in North America, the Sacramento BioDigester started in 2012 with the capacity to process 10,000 tons of food waste per year and was expanded to four times that size in early 2015. California State University Sacramento commuter buses (6 buses), two local catering companies and local school buses (exclusive contract with Sacramento School District’s 6-12 buses, backup provider for Elk Grove’s 6-12 buses). The waste gas (not clean enough to use for transportation fuel) is used to produce one million kilowatts of electricity which powers both the facility and the fueling station. The digestate is used to produce eight million gallons of organic soils and fertilizers for Sacramento area farms. San Jose adopted its Green Vision agenda in 2007 with the goal of making the city a world center of clean technology innovation. Included in the plan is an effort to divert 100 percent of waste from landfills and convert waste to energy. Organic waste such as yard trimmings and leftover food are typically buried in land fills. As the waste breaks down, the landfills often emit methane gas — a potent greenhouse gas that contributes to smog and climate change. Municipal solid waste landfills are one of the largest sources of human-related methane emissions in the United States, according to the EPA, and represent a lost opportunity to capture a significant source of energy. Zero Waste’s anaerobic digestion facility, located near the southern tip of the San Francisco Bay, will be the first large-scale commercial operation of its kind in the United States. It’s being developed in three phases over the next several years, with each phase capable of processing 90,000 tons of organic waste each year. When fully operational, it will be one of the largest such plants in the world. California utilities, including PG&E, are required to buy 33 percent of their electricity from renewable sources by 2020 via the state’s “Renewable Portfolio Standard.” Though much attention has focused on solar and wind power, electricity generated from biogas also qualifies for meeting the standard. So San Jose’s new facility could be replicated throughout the state by cities struggling to figure out how to handle their waste. Other biogas projects are already operating in the Bay Area. Waste Management Inc., which recycles waste for several cities in Alameda County, is turning its decomposing garbage at the Altamont Landfill near Livermore into electricity and liquefied natural gas. The fuel is then used in the company’s garbage trucks. 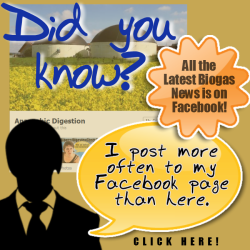 here is a good example of Anaerobic Digestion in California. In mid-May, The Kroger Co. drew back the curtain on a 150 tons/day anaerobic digestion system at its 59-acre Ralphs/Food4Less distribution center in Compton, California. … via California MSW Organics Digester Prepares To Launch ..
What is the setting for the tanks normally? The best thing about this article is that it is a general research article on the chosen subject. So many bloggers only blog about stuff that they can sell and get a commission on.